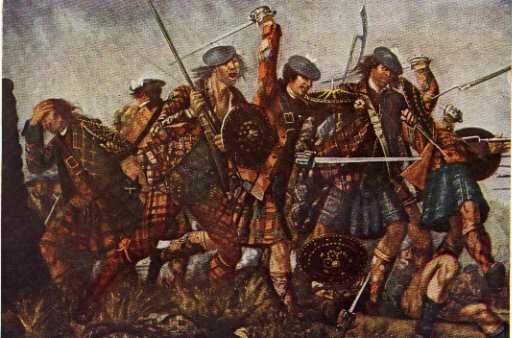 During the Highland Uprisings of 1715 and 1745, clansmen fighting on both sides were identified not by their tartan, but by their cap badges - the white cockade of a Jacobite supporter or the red or yellow crosses of ribbon worn by their opponents. The most recognisable tartans from this era were therefore military, worn by the Government regiments formed from 1725 onwards to police the clans, and which later evolved into the 42nd (Royal Highland) Regiment of Foot, becoming better known a century later as The Black Watch. But it was also inevitable that certain of the more established and affluent clans should set out to create a uniform of sorts. In his seminal work on tartan, Sir Thomas Innes of Learney, who served as Lord Lyon King of Arms from 1945 until 1969, makes reference to a letter written by Sir Robert Gordon of Gordonstoun, Tutor to the Earl of Sutherland, to Murray of Pulrossie in 1618 in which Sir Robert instructs Pulrossie to remove the red and white lines from the plaids of his men so as to bring their dress into harmony with that of the other Sutherland septs. Sir Thomas points out that the Murrays and Sutherlands were of a similar origin, and if they were both wearing a dark-based tartan with red and white over-check, then the parent check could in all probability have dated back to either the 12th or 13th centuries and been rather more synonymous with territory than tribal allegiance. The Highland way of life reached its zenith with the Jacobite Uprising of 1745 and climaxed the following year with the British Government’s destruction of Prince Charles Edward Stuart's army at Culloden Moor. Afterwards, the wearing of tartan was universally banned along with a whole portfolio of trappings which a nervous legislature associated with rebellion, namely bagpipes, hose, swords and guns. Highlanders were coerced into wearing plain trousers. Demoralised and impoverished, the majority of Highlanders acquiesced and, as is confirmed by estate papers such as the Gordon Castle Muniments, which can be seen in the Scottish Record Office, handed over what they had. 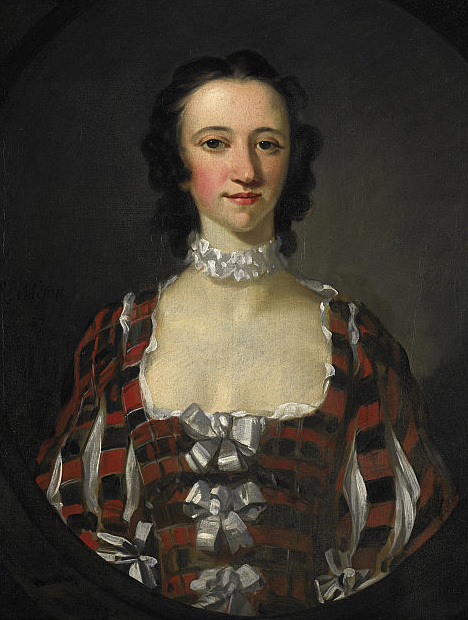 Extant is an entire list of plaids and tartan given in by the tenants of the parishes of Rhynie, Kinoir, Cairnie, Ruthven, Gairtly, Dunbennan, and in Raws of Huntly, a particularly poignant capitulation given that the Gordons fought on both sides during the uprisings.